Serbian.tech News How to overcome a fear of public speaking? It doesn’t matter if you’re a super smart, one of the most prominent professionals in your niche, or you have plenty to say. Fear of public speaking can happen to you. And it’s the one among the most common worries shared between humans, so much it can surpass the fear of the death itself. But what are the reasons we have a fear of public speaking? And what’s more, how to overcome it? There are many reasons why people afraid of speaking in public. Sometimes we’re remembering previous experience which turned out bad; sometimes we’re scared of other people’s judgment. All in all, fear of public speaking is a form of anxiety. It can be that bad to leave us with shaking voice and sweaty, and it can make us feel incompetent and like we don’t have anything to say, while in fact, we do. 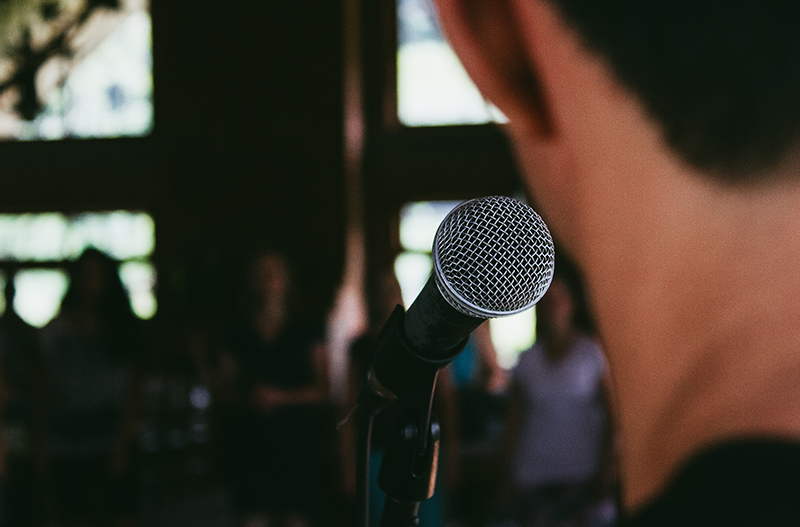 So, how to overcome a fear of public speaking? Because we know how intense this fear can be, and what opportunities you lose because of it we decided to give you some tips on how to overcome it. And the first one would be to practice. It maybe sounds stupid, but practice really does make it perfect. Don’t let your fears stop you from achieving your goals. So, if you have an important presentation or you’re invited as a speaker at a conference, don’t miss that chance to prove yourself. So, what you have to do is to practice your speech as good as you can. Take a mirror and start talking, you will see you’ll be better with each shot you take. Many people think their fear of public speaking will decrease if they avoid eye contact with their audience. And this is just not true. By not paying attention to your audience you will actually miss the chance to interact with them and collect essential insights. And somebody might have a question you would miss. By failing to notice your audience, you are left alone with your thoughts, and that can be a huge stress trigger. So, don’t do it! Many people are afraid of other people’s judgment, and that’s why their fear of public speaking tends to increase. If you feel like your anxiety is obvious, don’t try to hide it. Instead, show yourself in the real light, and it will eventually pass. Trying to hide your fear will only make you stress more. If you’re known you’ll be afraid while speaking in public and you feel it so intensely, don’t try to rush your speech. By talking fast, you will only speed up your heartbeat given you need more air to say the things you have to say quicker. Take your time and relax, nobody will judge you. It’s such an awesome thing to do what you love. We know it here in Serbian tech! But even when you get to talk about something downright dull, make sure you find something about that topic that piques your interest. Talking about what’s moves you will make the fear of public speaking fade away faster. And when it comes to fear of public speaking, you are really not alone. Many successful people, including Warren Buffet, have it. You’re not better, not worse because the public speaking gives you the creeps. Step up and make sure you make the most out of it! We know how serious fear of public speaking can be. However, it shouldn’t stop you from having amazing experiences. Don’t miss a chance to use the opportunities because they can lead to good things, both personal and professional. And fear of public speaking is not good enough reason for it. Got it?